T he Sugar Sand Festival made its second appearance at Clearwater Beach this April. The show ran from April 5th through the 13th. A large tent went up long before the event opened, getting the folks at the beach a heads up the festival was coming. 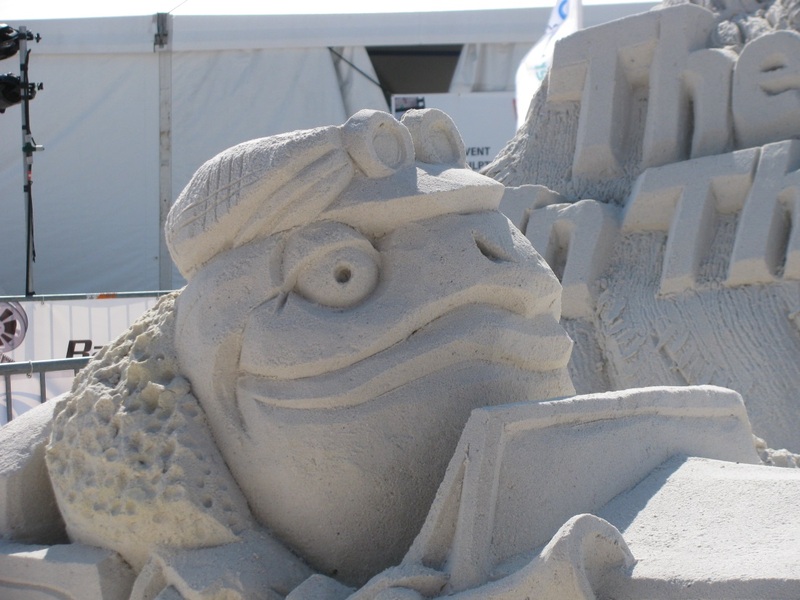 The artisans got busy sculpting, all with the show’s theme in mind. This year, cinema was the theme, with the title of “Beach Walk of Fame.” Inside the tent, sculpted figures from Hollywood history were found along a ribbon of film also crafted from sand. Visitors viewed images from the very beginning of cinema, like Charlie Chaplin, through the most recent movies, including Dolphin Tale. 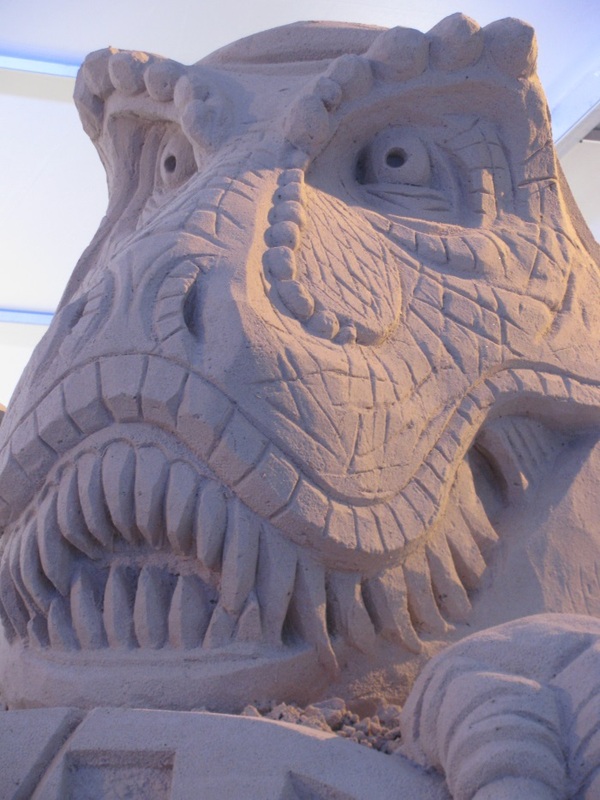 The sand sculptures were at the heart of the event, but surrounding the tent were a host of additional activities that had the beach buzzing with activity. Sand artists held special shows and contests for beach visitors, including speed sculpting. Directly surrounding the tent were a number of other fun attractions. The Hyatt Regency Resort and Spa, one of the event sponsors, had a kid’s sand sculpting area, complete with umbrellas and chairs for the parents. Frenchy’s restaurant hosted a “Sand Bar” right on the beach, with a fenced off area set up as pub. 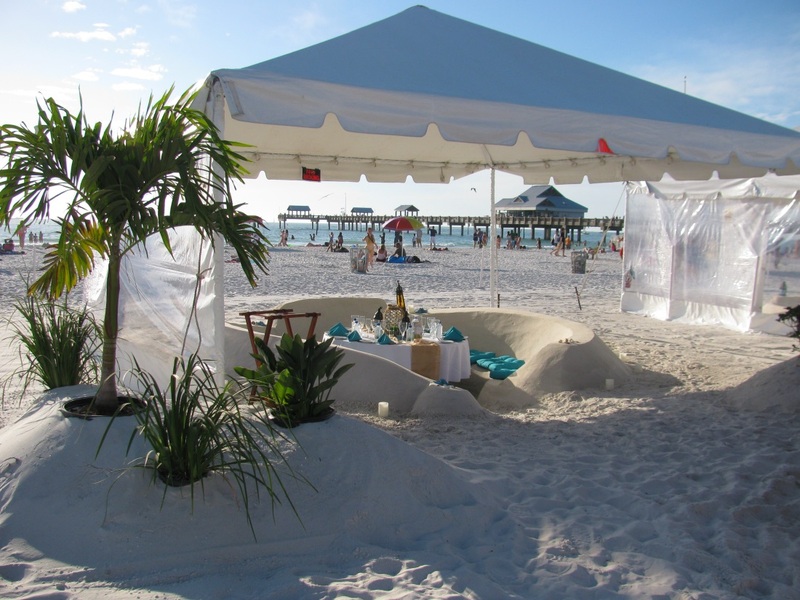 Area restaurants sponsored a restaurant setting behind the show tent with sand sculpted sofas for restaurant guests, with the sand sofas right on the beach. The attractions surrounding the tent were a success, with plenty of attendees joining into the extra fun. Pier 60 is a Clearwater Beach attraction every evening, two hours before and after sunset. For the Sugar Sand Festival, however, the vendors and street performers showed up every day, all day long. The usual Pier 60 fun was in overdrive. 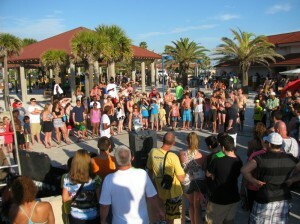 Clearwater Beach visitors were treated to non-stop entertainment. The pier was lined with vendors selling every manner of souvenir, while the street performers spread across a wider area than usual to accommodate the extra visitors. With a larger amount of people at the beach for the festival, Pier 60 was a hub of activity. 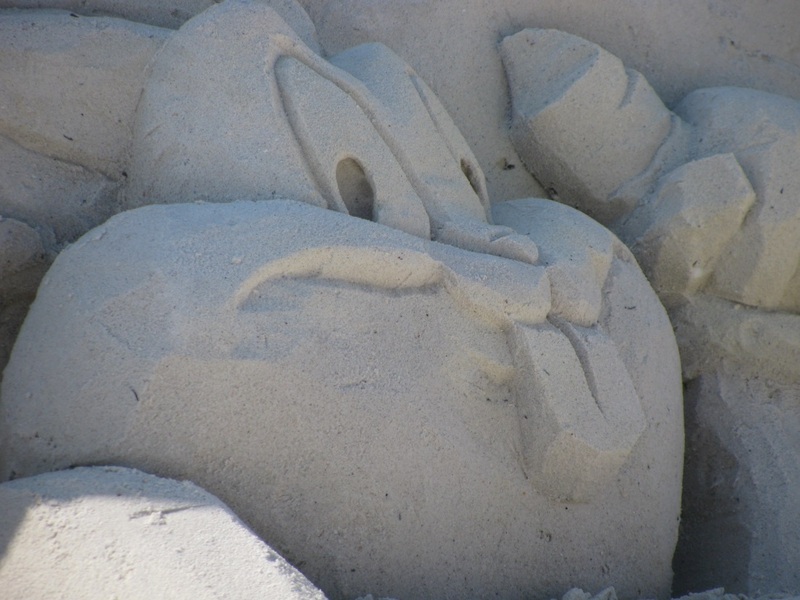 If the number of visitors to Clearwater Beach last week was any indication, then the 2014 Sugar Sand Festival was a success. The beach enjoyed lively crowds and, each time we checked in, the Pier 60 shows were running. The line leading into the sand sculpture tent enjoyed a constant flow. If you are considering a Clearwater Beach vacation, be sure to check this one out for 2015. Judging by the turnout for this one, the Clearwater Beach Pier 60 Sugar Sand Festival will back again next year.